On this week’s edition of Banner Monday (episode 507 overall), Jerod reflects on the meaning of Indiana’s two victories over Michigan State before and Ryan dive into this week’s mailbag [2:14]. Then Mike DeCourcy joins for his weekly Big Ten Roundup to discuss what expectations should be for Archie’s third season as well as the Elite 8 performances by Purdue and Michigan State [33:25]. Remember: use the URL http://iutickets.shop when you need to buy IU basketball or football tickets. 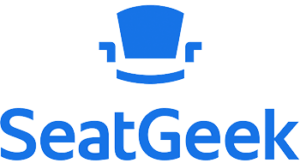 That URL will take you to SeatGeek, where you will find the ticket prices arranged by value (it’s a really helpful setup), and all purchases are fully guaranteed. Plus, it’s our affiliate link, so when you use it and buy tickets we get a commission — making it a great way to support the show. Also: use the promo code ASSEMBLY for $20 back after your first purchase. Again, the URL: http://iutickets.shop.